According to the data issued by the National Service of Statistics in Armenia, 41.9% of children live below the poverty line, and 4.9% endure conditions of extreme poverty. The provinces of Shirak and Kotayk are the main zones affected by this alarming situation. The Armenian office of UNICEF points out that some children are placed in boarding homes set up for economically disadvantaged children and run by the Ministry of Labor. In addition, the Ministry of Finance has established a program aimed at reducing poverty in the country by 2025. Notably, it is cooperating with Care International with the objective of reducing poverty by combining the development of businesses with good governance. 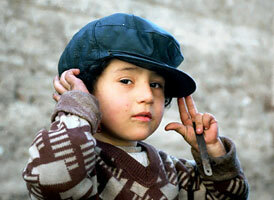 Some Armenian children face difficulties receiving the healthcare they need. For families living in the mountains, keeping children in good health is truly a daily challenge. Even if they have the resources to travel to the closest healthcare facility, the roads leading there are frequently blocked. All the same, it is essential to recognize that the country is aiming to cut its infant mortality rate by two-thirds by 2015. This objective appears attainable; a clear reduction in cases of infant diarrhea and respiratory infections can be observed. Progress has also been made in terms of eradication of Polio and some health problems linked to iodine deficiency. study conditions can be difficult in some villages. School buildings are often old and even close to collapse. Moreover, there is usually no heating, the plumbing is unsanitary, and school supplies are insufficient. Another problem concerns preschool education. In fact, the number of nursery schools is decreasing because poverty is forcing close to 80 per cent of preschool-aged children to stay at home. Despite many efforts to improve it, the situation of disabled children is deplorable. Children with a mental illness suffer isolation because of societal attitudes. In addition, the medical and social structures in place to help these children are insufficient. Providing adequate care for these children is becoming increasingly difficult as they continue to be neglected, plagued with discrimination and denied their rights, despite all their parents’ requests. 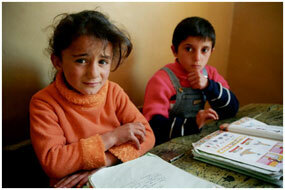 In Armenia, UN data estimate that 1 out of every 10 girls is married before the age of 18. Child marriages have negative repercussions on the child’s health, development, and on the full exercise of their rights. Girls who marry very young abandon their education and consequently are limited in their social interactions. Furthermore, they risk teen pregnancy, which can prove dangerous to their own health as well as their child’s. Institutions that take responsibility for children without parental support are unable to respect or guarantee all of these children’s rights. They are few in number and lack sufficient financial financial resources. Faced with a large number of orphaned or abandoned children, these organizations are hardly in a position to ensure good outcomes. These children encounter numerous obstacles in terms of education, their right to healthcare, and their right to protection.